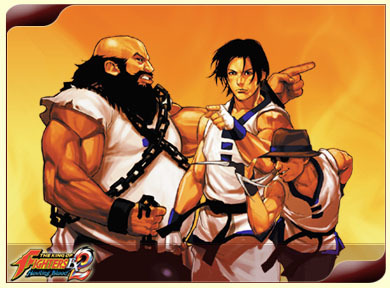 STORY: In this storyline, there are not three sacred treasures, but ten. 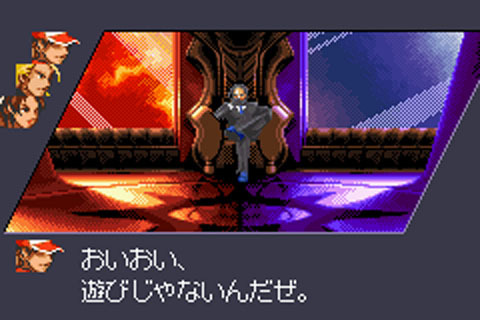 A man named Gustav Munchausen is trying to revive the spirit of Leopold Goenitz by channeling it in a boy's body. 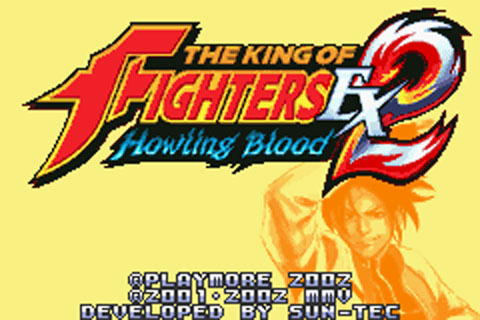 The boy, Sinobu Amou, is one of the ten sacred treasures, and Gustav hosts the King of Fighters EX2 tournament to test his new weapon's power. 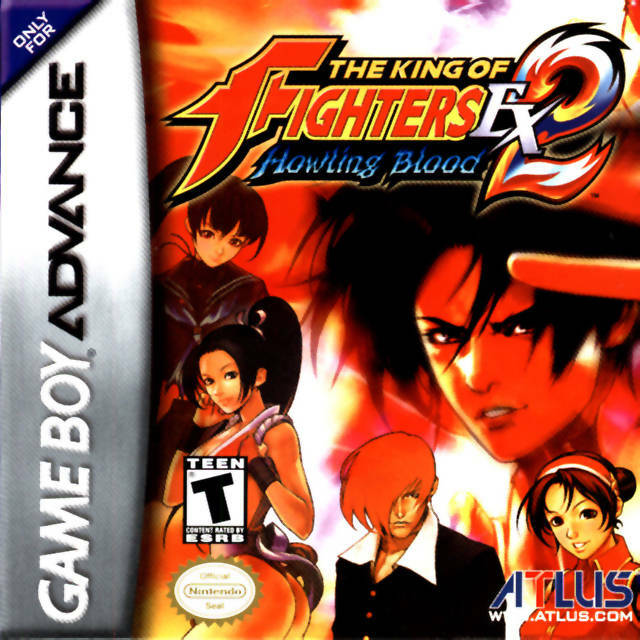 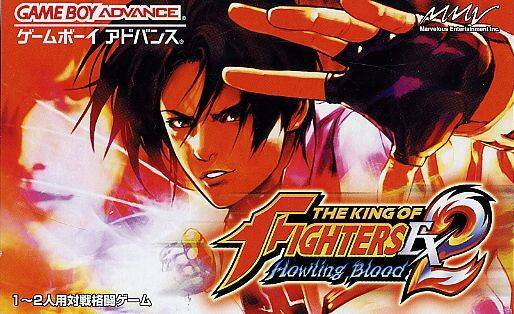 REVIEW: King of Fighters EX2: Howling Blood is the sequel to the 2002 release, King of Fighters: EX Neoblood. 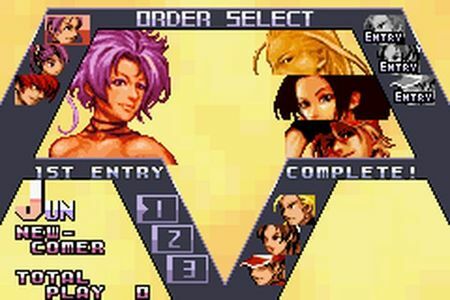 This follow-up on the Nintendo GameBoy Advance features 21 characters, 6 different modes of play, and a revised "striker" system that enables tag team play during battles. 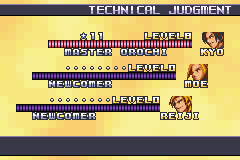 A very bright yellow selection screen. 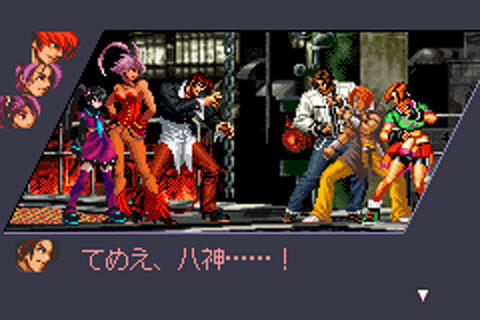 Owww. 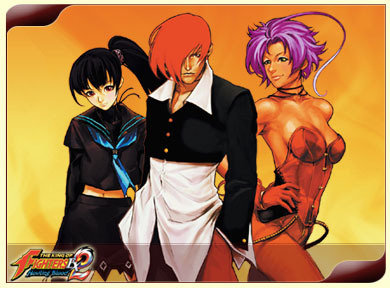 King of Fighters fans will notice 3 entirely new playable characters have been added to the roster (Reiji, Miu & Jun). 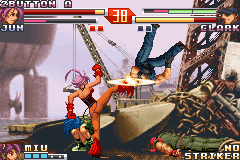 Moe Habana from NeoBlood also makes her return. 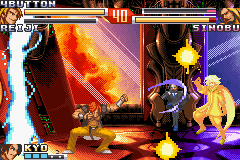 NeoBlood also features a brand new boss (complete with "cheap SNK boss syndrome"), Sinobu. 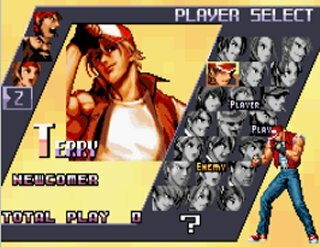 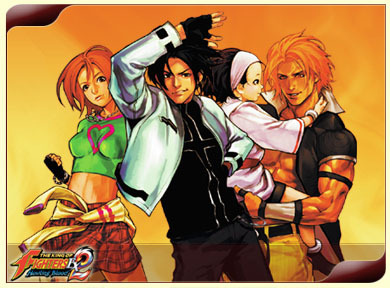 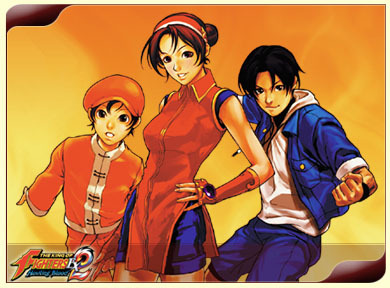 In addition, a total of seven different teams restructured out of the classic KOF line-up make up the bulk of the roster. 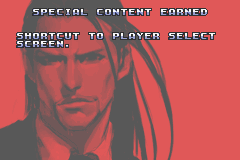 Howling Blood features a Story Mode and of course a VS Mode, as well as some decent unlockables. 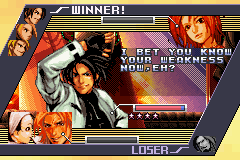 What is up with Jun's hair? 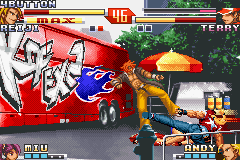 KOF: EX2 Howling Blood definitely improves upon the prequel in a variety of ways. 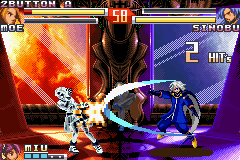 The controls seem sharper, and most of the prequel's quirks and glitches were cleaned up. 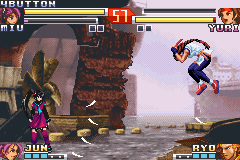 The striker system was also changed, and doesn't subtract from the list of playable characters. 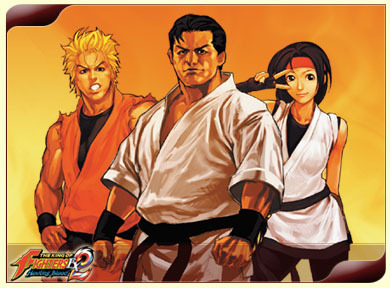 This time, the next character in line is the striker for the current fighter. 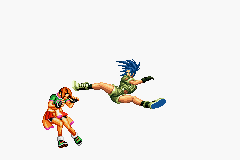 This element alone actually adds a new strategic element to keep in mind when you select your team. 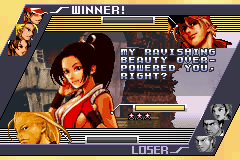 No Mai, it was your spamming, actually. 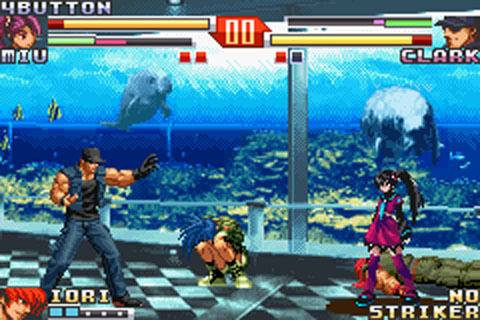 EX2: Howling Blood also features some new visual elements. 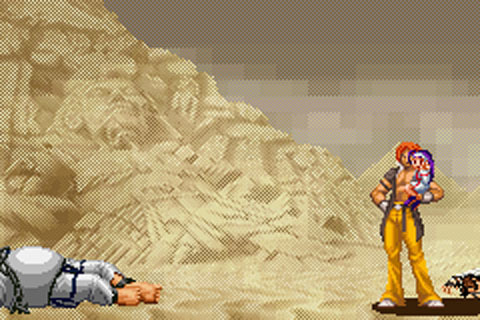 Perhaps the most notable one is that fighters can now be seen in the backgrounds after they are defeated. 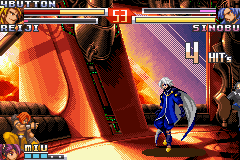 The new background designs also give the game a fresher look. 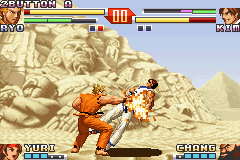 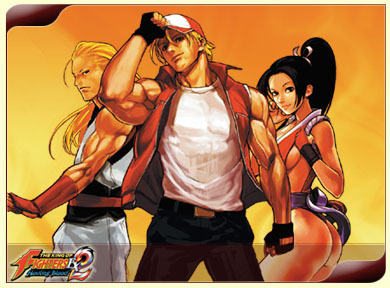 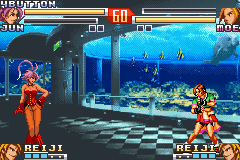 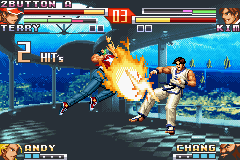 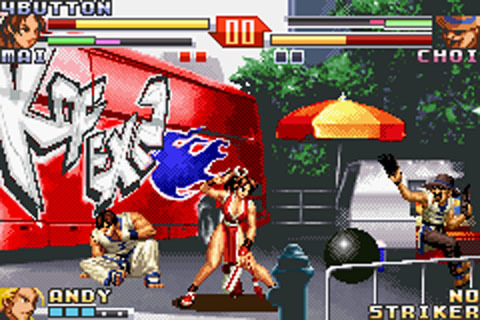 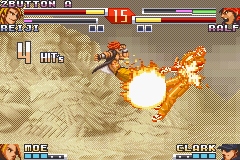 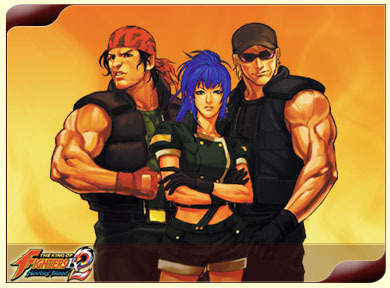 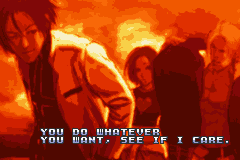 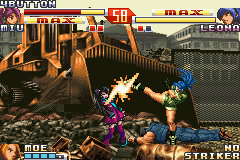 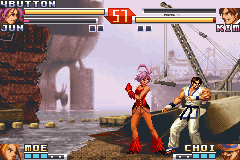 While some of the KOF character sprites look aged, they're actually some of the best 2D sprites to appear on the GBA. 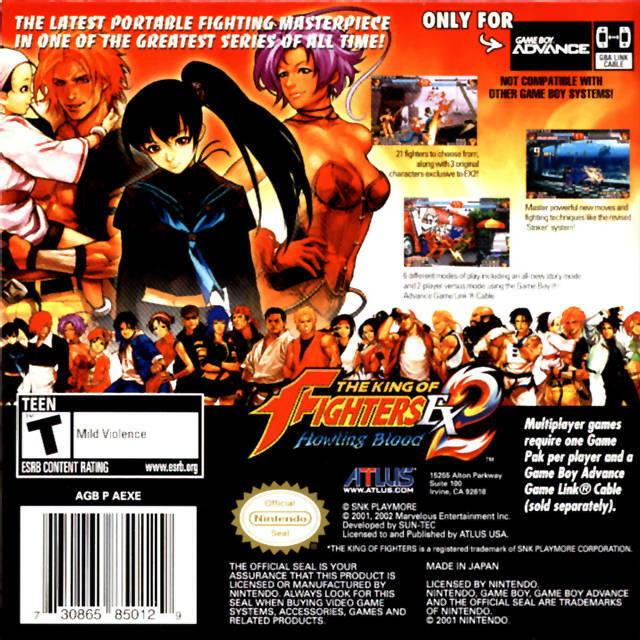 The character roster is also one of the largest to appear on the system (in terms of fighting games).